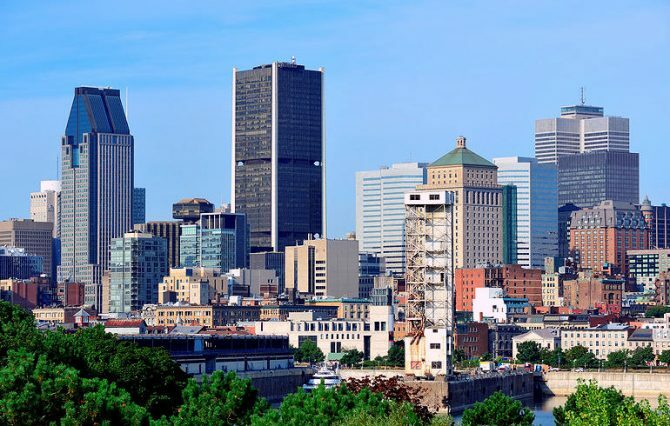 While the Toronto housing market and Vancouver housing market struggles with government regulation and crash talk, Montreal seems to be waking from a sleepy, negative period that made it appear undesirable to outsiders. The changing perception of Montreal’s political stability might be the key driver of home sales here going forward to 2019/2020. January’s housing sales were the strongest of all Canadian housing markets again. That’s 47 straight months of increases. Montreal home prices rose 3% while sales rose 15% over last year. In the Montreal market, last month, single-family home and condominium transactions grew 17% (1,674 homes and 1,053 condos). Average prices of homes reached $316,000 while condos climbed to $248,000. The unregulated Montreal housing market is thriving. It was the best performing real estate market in 2017, the first time Montreal’s market has been better than Toronto or Vancouver since 1998. 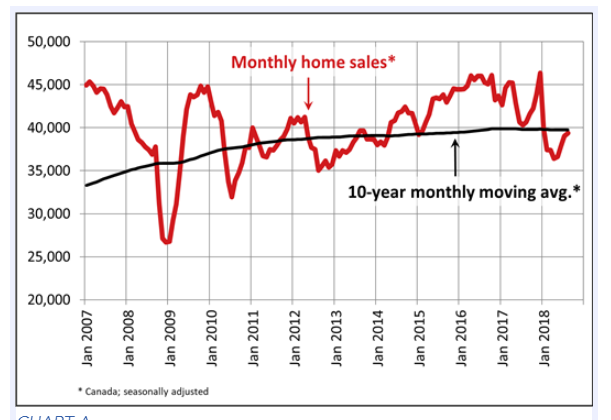 With supply drying up (down 16% year over year) spring 2019 and stable interest rates, we should see much higher prices. The HPI index for Montreal rose from 167 last December to 175 in Dec 2018. “With healthy price increases projected in 2019, we’re forecasting the housing market in the Greater Montreal Area to outperform other Canadian urban centres,” said Dominic St-Pierre, Vice President and General Manager, Royal LePage. St Pierre believes sales will grow 2% in Montreal this year. For homebuyers, Montreal is perfect. The regions economy is good, the cost of living here is low, home prices are relatively flat (homes cost 1/4th of similar Vancouver homes) and wages are rising (up 40% since 2001). It is aided by some foreign buyers but apparently not those who gave up on Toronto or Vancouver. Overall, in the province of Quebec, real estate sales was strong despite diminishing listings. Single-family home sales grew 3% while condos sale jumped 13% during 2018. Overall Montreal home sales numbers haven’t reached the 10 year moving average. That adds to a prediction of higher prices going into 2019. Despite the optimism and the health of the Montreal market (including first-time homebuyers, young families, investors and people who are buying homes appropriate to their circumstances) prices are expected to rise as listings dry up. No one is predicting big trouble however since wages aren’t rocketing upward and investors outside of Quebec aren’t as interested in this market (only 2% are Chinese buyers). However, interest may grow. Something has changed in Montreal and it’s spawning this surge in housing sales. Some believe tech, tourism and shipping have grown the region’s GDP (up 3.5%). Now that the USMCA deal is in effect, 2019 and 2020 brings hope for a strong housing market and economy. A sudden surge in foreign direct investment exceeding $2 billion in 2017 (up 50% from 2016 and up 100% since 2016) has helped. It’s said that much of those funds were invested into broad areas of high tech including gaming, visual effects, aerospace, life sciences and health technology. The federal and provincial government’s are investing $300 million to make Montreal an AI supercluster. Share this post on Facebook or your newsletter. It’s thoughtful to share!! Trending in 2019: Vancouver Housing Market | Calgary Housing Market | Toronto Housing Market | Toronto Condo Market | US Economy Predictions | 2019 Predictions | Canadian Housing Market | Canadian Economy Outlook | CAD USD Exchange | Mortgage Refinancing 2019 | Buying a House in 2019 | Real Estate Investment 2019 | Tampa Housing Market | Atlanta Housing Market Outlook | Chicago Illinois Housing Market| Massachusetts Housing Forecast | Florida Housing Forecast 2019 | Los Angeles Real Estate Forecast | New York Housing Market | Housing Market Forecast | Houston Real Estate Forecast | Seattle Housing Forecast | Cities Most Likely to Crash | Affordable Housing | Miami Real Estate Forecast 2019 | Seattle Real Estate | Should I Buy a House? | Stock Market Crash Indicators | Auto Insurance Comparison | Mississauga Real Estate Forecast | Philadelphia Housing Market | 2019 Stock Market Predictions | When is the Best time to Buy a House?